Blast Control is focused on providing engineered solutions for pressure test safety, personnel protection, as well as military and law enforcement security applications. They place a strong emphasis on developing and utilizing cutting edge and novel materials for every scenario. Revolutionary energy absorbing, fire proof, and insulating materials are common in their solutions. Simplicity is also a primary focus when proposing solutions and they strive to implement modular, light-weight, and user friendly designs that challenge the status quo and streamline processes. Their engineering solutions team has the ability to calculate energies and determine the most superior solutions to meet and exceed their clients’ needs. They can utilize their patented technology or develop custom products to accomplish whatever the application may demand. Their diverse team of inventors, engineers, and entrepreneurs give Blast Control strengths that set thems far apart from any other organization. Their proprietary Torque Lock System allows for multiple Blankets to be attached to one another rapidly, making it possible to deploy a barrier of virtually any size, anywhere, at a moment’s notice. Additionally, blankets can be torque locked together front to back, effectively doubling the mitigation capabilities of the system. The products weigh only about 0.75 lb/ft2 and roll up easily for transport or storage. 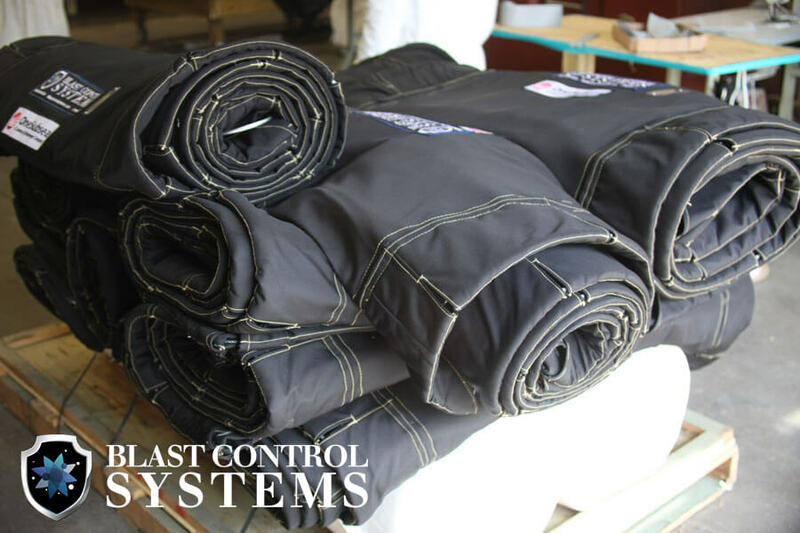 Blast Control’s Pressure ProTM and Blast ProTM products are constructed utilizing materials weaved in an Auxetic arrangement. These materials are remarkably energy absorbing, cut resistant, and abrasion resistant. If you would like to know more please reach out at psrghouston@psrg.com and we will be happy to arrange a demonstration for you!